Pregnancy mask can appear on the face due to the combined influences of hormonal changes and UV rays—resulting in brown pigmentation spots with irregular contours on forehead, cheeks, around eye contours, and mouth. 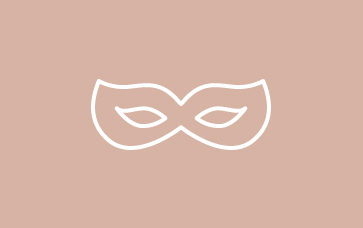 The first signs of pregnancy mask usually appear between the fourth and sixth months. Rule number 1—shun the sun. Start shielding your skin early on with Clarins’ UV PLUS Anti-Pollution Sunscreen Multi-Protection Broad Spectrum SPF 50—skin’s perfect daily defense against pregnancy mask. The best thing to come between your skin and the sun. City or country, sea or slopes—don’t leave home without SPF 50 sun protection. UV PLUS Anti-Pollution Sunscreen Multi-Protection Broad Spectrum SPF 50. Lightweight, oil-free day screen defends skin from UVA/UVB rays—pollution and free radical damage, too! Forms an invisible shield that helps protect skin. 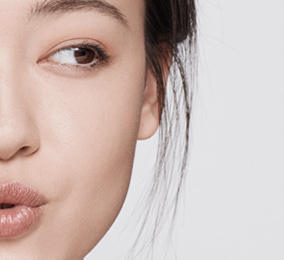 Sheer enough to wear over your moisturizer. The only way to glow! Being pregnant doesn’t mean you have to be pale. Radiance-Plus Golden Glow Booster for Face. 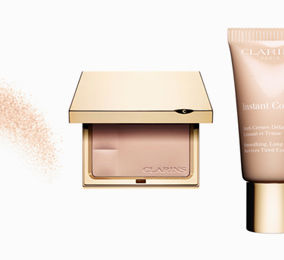 Get a sunny glow going with this skin-loving self-tanner. 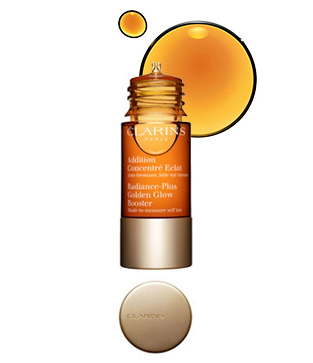 Just add a few drops to your Clarins moisturizer for an even, golden, streak-free tan 365 days a year.